The family Bluegrass Gospel quartet from Ohio, New Jerusalem Bluegrass, has released a new album titled Where Ya’ Goin’. The album was produced by Ron Fairchild and was recorded in Hendersonville, Tennessee. This family is about as musical as they come. Both Mom, Dad, and daughters, Candy and Calina, all play multiple instruments, as well as sing. The harmonies on the album are really good, especially on the song, “Sheltered In The Arms Of God.” “All My Tears” is a song that really stands out on this album, as the melody is haunting and memorable, while the track shows the musicianship of this talented family. New Jerusalem Bluegrass is playing many live dates this year. You can bet they are even better live that they are on CD. Check out their website for their touring schedule, and go check out a show. Family groups are always fun to watch! 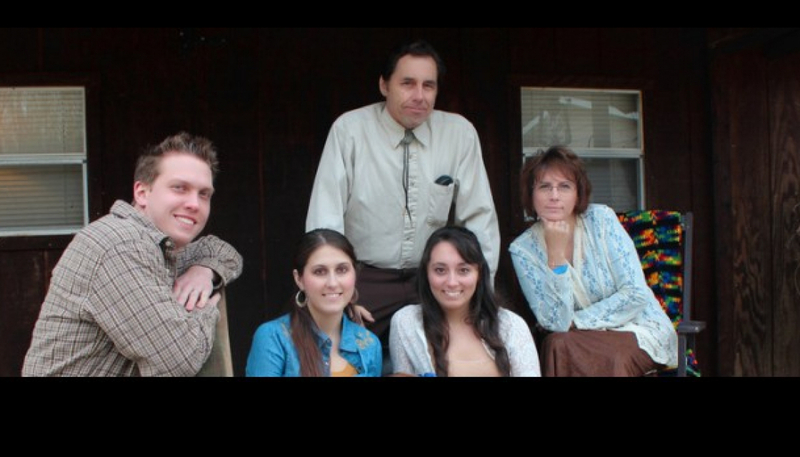 They are a gifted Gospel Bluegrass family quartet from Ohio, and New Jerusalem Bluegrass (Calina, Candy, Diana, and Rusty Boggs) received a pair of ICM nominations last fall. Here they give us twelve terrific songs, including covers of Hank Williams' A House Of Gold and He Looked Beyond My Faults (And Saw My Need) by Dottie Rambo. Teen-aged vocalist, fiddle/mandolin/banjo player Calina co-wrote the lead song, Tellin It. Their family harmonies are outstanding, as is the instrumental work on tunes such as the difficult, racehorse-tempo Bill Monroe favorite Get Up John. Exciting things have been happening for New Jerusalem Bluegrass, the family Bluegrass Gospel quartet from Ohio. Crossing That Bridge Tomorrow, written by the quartet's 16-year-old fiddle and mandolin player and vocalist Calina Boggs, has reached the Top 5 of the Bluegrass charts. This album provides Precious Memories not just for the Boggs family (the quartet is made up of Rusty, Diana, Calina, and Candy Boggs) but for all their fans as well. A bonus track, Who Am I, features the stirring vocals of Diana's mom Opal, who passed on years ago, now combined in the studio with the harmonies of her daughter and grandchildren. "Through modern technology," as the liner notes tell us, "three generations of our family get to sing together for the first time." Like everything New Jerusalem Bluegrass does, it's pure magic.